If ye then be risen with Christ, seek those things which are above, where Christ sitteth on the right hand of God. Set your affection on things above, not on things on the earth. For ye are dead, and your life is hid with Christ in God.When Christ, who is our life, shall appear, then shall ye also appear with him in glory. Mortify therefore your members which are upon the earth; fornication, uncleanness, inordinate affection, evil concupiscence, and covetousness, which is idolatry: For which things' sake the wrath of God cometh on the children of disobedience: In the which ye also walked some time, when ye lived in them. But now ye also put off all these; anger, wrath, malice, blasphemy, filthy communication out of your mouth.Lie not one to another, seeing that ye have put off the old man with his deeds; And have put on the new man, which is renewed in knowledge after the image of him that created him: Where there is neither Greek nor Jew, circumcision nor uncircumcision, Barbarian, Scythian, bond nor free: but Christ is all, and in all. Today, while I was sitting outside cutting up apples, to make apple butter, my little friend shows up and we give him his peanut butter crackers and he comes over to see what I am doing and wants to check it out. I gave him some apple waste and he really like it . Then he came over and checked out the apples I had in my bowl. He comes to visit just about every day. Some days he will stay for a few hours other days hour or so. After I cut up the apples into quarters, I washed them in the kitchen sink and then moved them to a pot that I could cook them in. I had more apples than I thought I had. Yet I knew they would cook down. Add 2 cups of apple juice let them cook down until they were very soft. The apples were ready to run through a strainer to get rid of the peeling and have only the pulp left. I weighed the pulp to see how many pounds of apple sauce I had so I would know how much sugar and spices to add. The apples were quite sweet so they wouldn't need but about 1/3 the amount of sugar the recipe called for. Stir in the above and blend well and then simmered for approximately 30 minutes. While the apple butter is simmering, wash jars, then sterilize them in boiling water. I used pint jars. Laddle the apple butter into the jars. 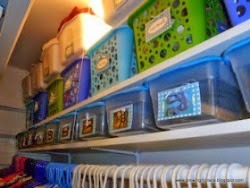 Wipe the tops of the jar and put sterilized lids and screw band on securely. Let sit until the lids seal. This recipe made a little over 11 pints. I know this apple butter will be enjoyed this winter when the snow is flying. Your Apple Butter should be in stores OMG!!! 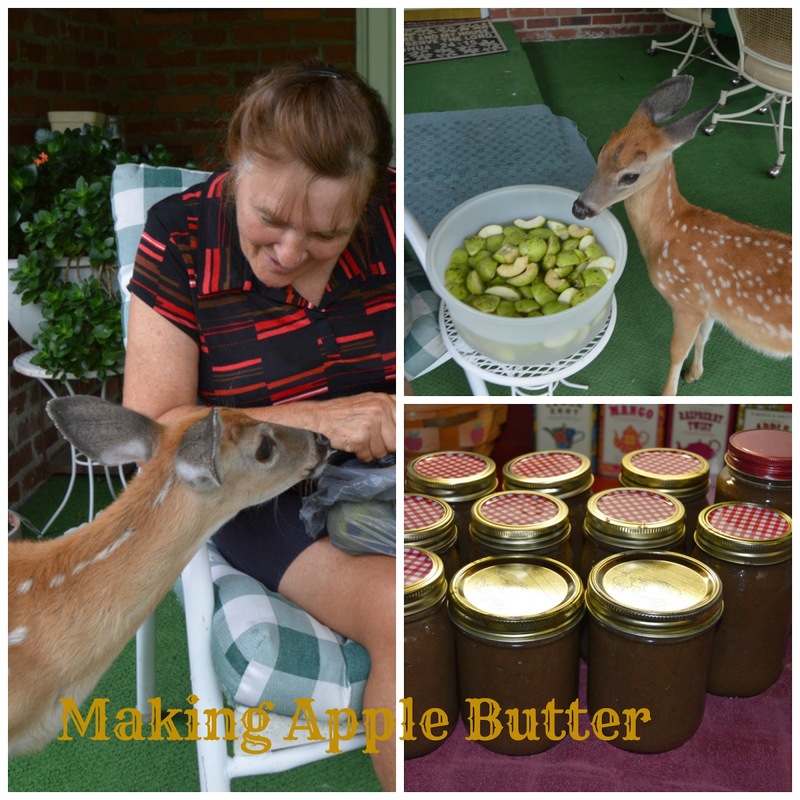 You should call it Awesome Butter Apple Butter!! It's just that good! Your little friend is so adorable. Only special people are animal charmers. Looks like you've made a friend for life :-) Thank you for the post, Loved it!! !